← Beat Presser Kinski exhibition in Bogotá until 30 June 2011! The photoshoot was arranged and I have to say that out of that first session Beat Presser produced my very favourite photographs of Klaus Kinski. Beautiful, dramatic black and white portraits of Klaus looking handsome and incredibly dapper in formal evening wear; photographs capturing the essence of Klaus – elegant, disdainful, defiant, and war y. Naturally all 10,000 copies of the issue of Village Cry featuring these photographs sold out very quickly. Wah! I want one! 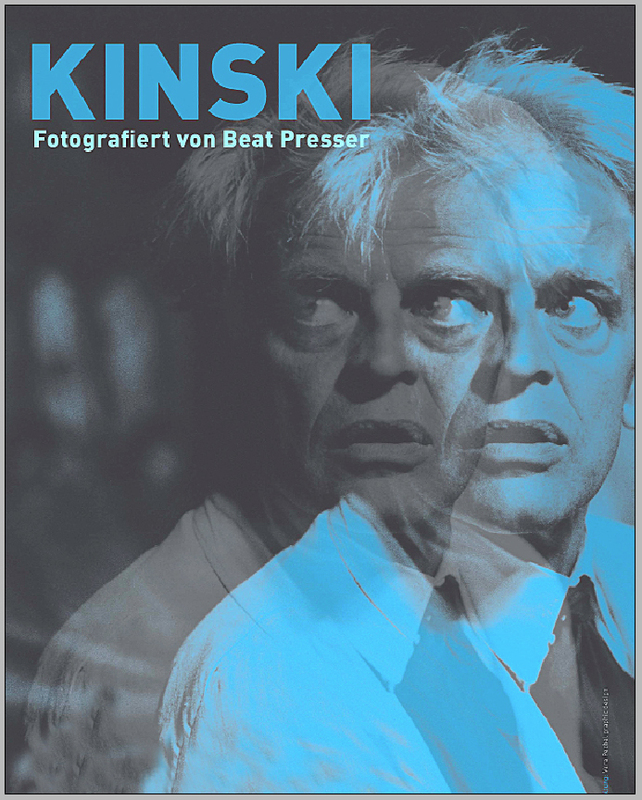 It wouldn’t be surprising if this latest book KINSKI Fotografiert von Beat Presser, published by moser verlag, sells out too. Whilst only 62 pages long, this book (which serves as the catalogue for the KINSKI exhibition at Westpreußisches Landesmuseum in Münster, open until 3 October 2011 – http://www.westpreussisches-landesmuseum.de/index.php/kinski) is packed with plenty of photographs. 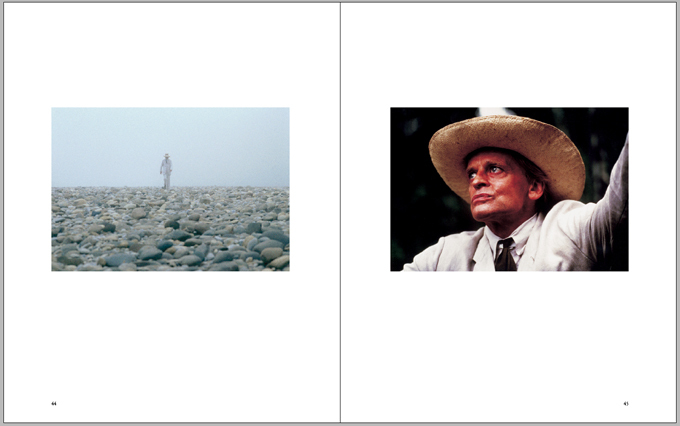 The photographs included in this book are from the Madame Claude shoot in Paris, France 1977 and from the Werner Herzog films, for which Beat Presser was hired as a camera assistant and stills photographer – the Fitzcarraldo shoot in Peru 1981 and the Cobra Verde shoot in Brazil and Ghana 1987. There are 5 black and white images from the Paris session; 12 colour images and 7 black and white from the Fitzcarraldo shoot; and 10 colour images and 10 black and white from the Cobra Verde shoot; some images cover two pages. But who’s counting? After all it’s not quantity, it’s quality that counts. And aside from the undisputable quality of Beat Presser’s photographs, the design by Vera Pechel is very stylish; the paper is of a good quality; the reproductions excellent. The Madame Claude portraits I’ve already discussed – very formal, very posed – only complaint with this is that I personally would have liked to see the photograph of the back of Kinski’s head in this selection, but you can’t have everything. Talking of the back of Kinski, Beat Presser manages to get away with asking the egotistical Klaus to turn his back to camera in the very famous shot of Klaus stood at the foot of the valley with the huge steamboat being pulled over the hill; he looks great for it (hands in pockets, of course). My favourite shot from Fitzcarraldo is the one used on the cover of the book, which is reproduced inside the book in black and white and shows Klaus looking strangely vulnerable with his wild hair and his collar sticking up slightly. Those eyes! That mouth! In Beat Presser’s photographs Klaus looks by turn joyful, livid, crazed, concerned, and arrogant. Sometimes he’s directed by Werner and the crew, sometimes he appears to be directing Werner. 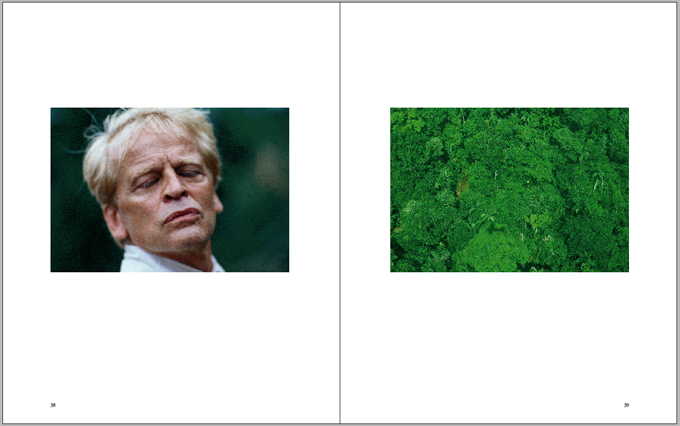 This carefully chosen selection of photographs reveals the multifaceted personality of Kinski, ranging from his anger aimed at Werner Herzog during the shooting of Cobra Verde to the totally beatific expression on his face in a wonderful colour shot of him in Fitzcarraldo; eyes closed, lashes like pale butterflies raised towards the sun, lips pursed, utterly peaceful and divine. It’s so hard for me to explain just what’s so good about the photographs, but if you love Klaus Kinski you are certain to love Beat Presser’s photographs. When I first got in touch with Beat Presser requesting information for Du dumme Sau! I said to him, “Your camera loves [Klaus]” and he said, “I guess he loved my camera as well…” I guess he did! Check out KINSKI Fotografiert von Beat Presser for yourself and see what you think. Buy the book, look at the images and drool over Klaus – it’s what Klaus would want. And, oh yeah, go to one of the Beat Presser Kinski exhibitions in Münster or Bogotá too! The book is now available to buy through Amazon and other bookstores. 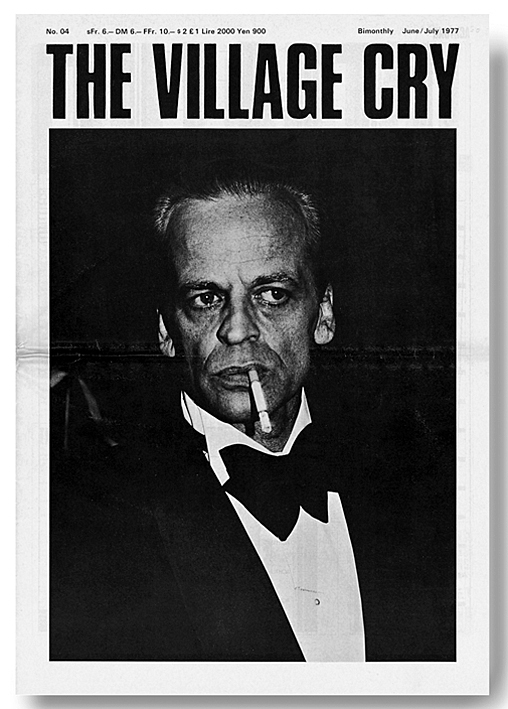 This entry was posted in Other Kinski Stuff, Photos and tagged Beat Presser, Beat Presser Kinski book, Beat Presser Kinski Exhibition, Cobra Verde, Fitzcarraldo, Just Jaeckin, Klaus Kinski, Madame Claude, Moser Verlag, Werner Herzog. Bookmark the permalink.